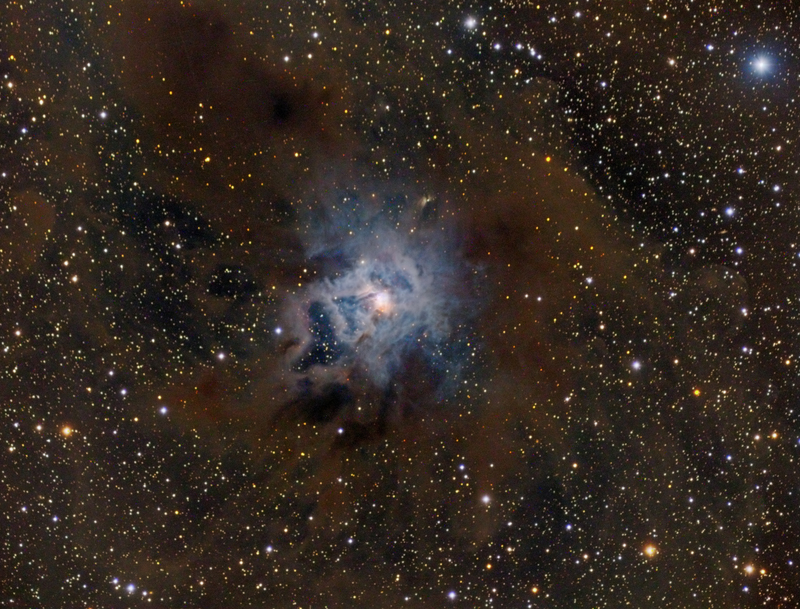 The Iris Nebula, also known as Caldwell 4 and NGC 7023, is a bright reflection nebula in the constellation Cepheus. NGC 7023 is actually the star cluster within the nebula, LBN 487, and the nebula is lit by a magnitude 7 star, SAO 19158. It shines at magnitude 6.8. It is located near the Mira-type variable star T Cephei, and near the bright magnitude 3.23 variable star Beta Cephei (Alphirk). It lies 1,300 light-years away and is six light-years across.